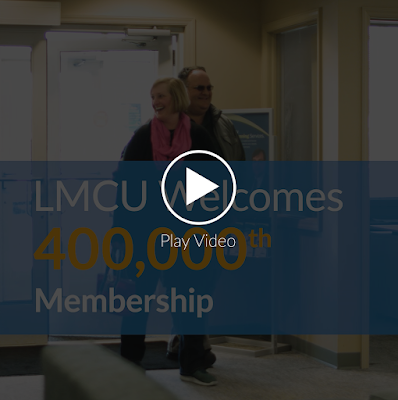 News from LMCU: 400,000 members! Wow! We just crossed the 400,000 member mark! Elizabeth Higgason, and her new husband Wade Higgason, from Northville, MI opened up a joint account at our Livonia branch in late February, becoming our 400,000th (and 400,001st) members! We kind of made it a pretty big deal for them. Check out our video on Facebook to see how LMCU welcomed them to the family.